Several states of Australia have recently or are currently reviewing their Residential Tenancy legislation. Typically such reviews tend to tinker around the edges. In this era of housing affordability challenges and different lifestyle choices where more people choosing to be long term renters; has the time come for some drastic changes to the way residential tenancies are treated? Unlike other western economies, Australia does not have a tradition of long term residential tenancies. The dominant trend here has been that renting is something one did on the path to home ownership. Renting while saving for a deposit; renting due to a temporary work transfer; renting during years of study is considered to be the norm. Our sprawling cities and towns are a testament to the Australian demand of home ownership. This is changing though. Demographers tell us that younger people especially are choosing to rent, rather than buy to allow for flexible lifestyle choices. Known by some as ‘Generation Rent’ these folk are saying no to a big mortgage on a suburban house in favour of renting in the inner city for all the lifestyle choices on offer. And haven’t our inner cities changed in recent years? Basically, these consumers are choosing to rent where they want to live rather than buy where they don’t. But the story is not all about trendy laneway bars, and urban street festivals. The increasing median house prices in most Australian capitals means that first home buyers (FHB) are finding it extremely difficult to break into the market. Higher home prices means bigger deposits are required, forcing the FHB to rent for longer. If said FHB is employed on a contract basis, or can only get multiple casual positions, then the possibility of securing mortgage finance is slim. So our living preferences have changed, the way we are employed has changed, and the affordability of housing has certainly changed. All of which mean that more and more Australians will be long term tenants; yet the Residential Tenancy Laws are essentially the same as they’ve been for years. 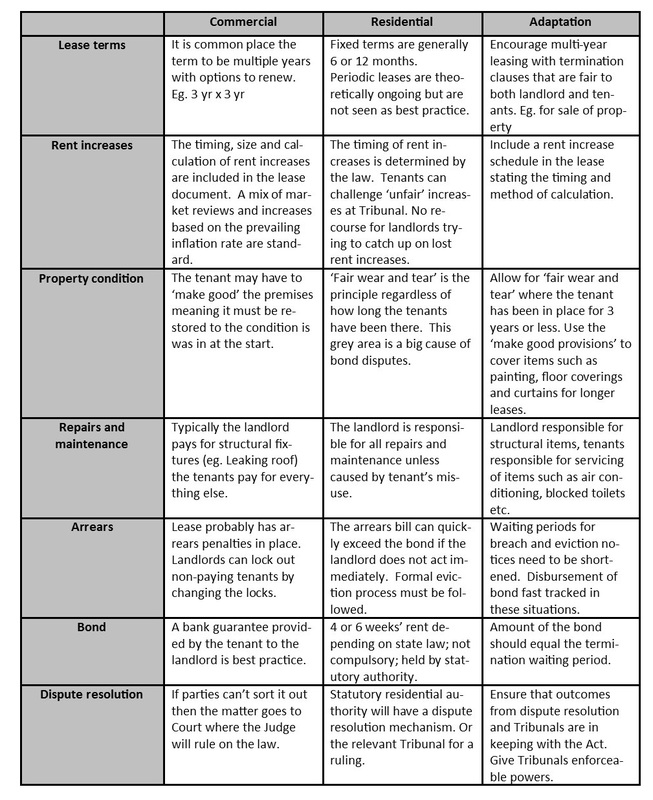 I’d like to suggest that the model used by the commercial tenancy sector be given some thought. Why? Because in the commercial world it is the norm for the tenant to stay in place for years – often decades with the same landlord. That sector has done it for years and done it well. 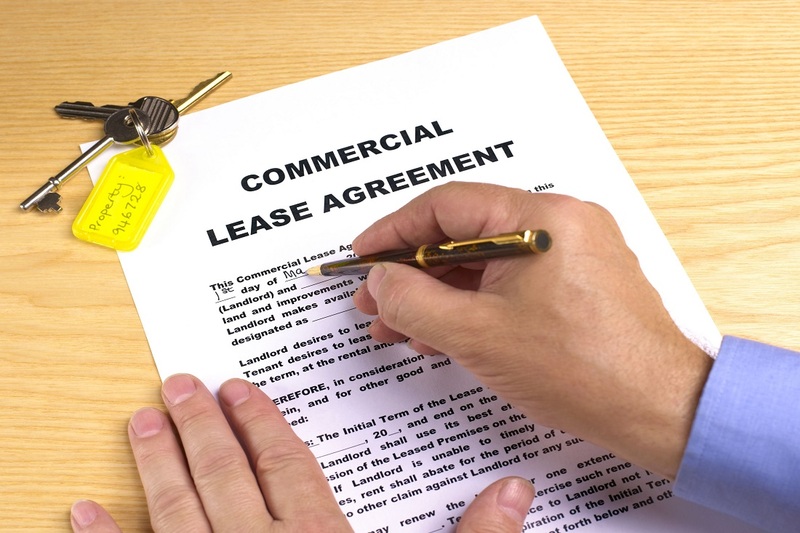 I’ve put together a few characteristics common to commercial leases, the residential equivalent and show how they can be adapted to the residential situation. I believe that most aspects of the residential tenancy laws are pretty good when it comes to the typical one or two year lease. Generally, they provide a balance between the interests of tenants, and landlords. But there is scope for providing an option to tenants and landlords who want to pursue a long term arrangement. There are plenty of examples of good and bad law, both here and overseas, from which the best elements can be adopted to devise a long term residential tenancy model for Australia.